Has anyone experienced bad video lag or frame skipping when using the Bluetooth controller? The reason I ask is because I heard people having all kinds of issues with the video feed skipping frames. I read that a person did a test with two Controllers the PXN (6603) Speedy and the Gamevice. The tests showed that the video feed when using the PXN Speedy was very choppy whereas the video feed when using the Gamevice controller is very smooth. Hi. I just got the Gamesir connected to the Tello. Flew one battery out after all the setting up. I am getting no video lag of any sort. Granted, i only flew in the house, will test outside when the sun comes up again. The Bluetooth connection isn’t optimized at this point ..... I have doubts that it will get any better...... but yes, the resulting live feed and videos are worthless when using a bt controller. However the Gamevice.....or anything that direct connects doesn’t experience the stutter. So at this point a Gamevice for your idevice is the only option if your wanting usable video. Thanks for the reply. If this is the case how does Ryze expect users to use the Tello for FPV? I find it difficult to believe that Ryze has build a capability such as VR mode, which will only work if you’re connected to a Bluetooth device and yet the Bluetooth is causing such a degradation in the video feed that it would be impossible to use it for FOV! Which Gamesir device are you using? The reason I ask is because I’ve been told directly from Ryze Support that Tello will only work with the Gamesir T1D which is not out yet. What firmware are you on? I didn’t get my Nimbus controller until after updating to 01.03.18.03 fw, I’ve heard that the bt connection is/was much better with original fw which if so is good news as Rize should be able to fix what they screwed up....hopefully. Hi, i am using the T1s. I posted in another thread here a video how to get it working. You have to get the re-mapper tool to get it to work. It is a bit of mission to get everything connected, but i tested it, and it works for me. I am just busy charging the battery, i will have a look, and then come back to you about what firmware i am on. @ Dino54 - i am on Firmware 01.03.18.01 I will stay there until the problems on the newer versions are sorted out. I hope this manage to fix this ASAP! I’m sorry to hear that and glad to know that I’m not the only one that see’s this as being an issue that needs to get fixed sooner than later. 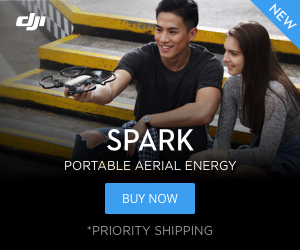 I’ve said this before in this forum, I’m profoundly shocked that Ryze and DJI has yet to fix this after so many complaints. I'm not spending any more on the Tello until they straighten out the android crap. Just received T1d from DJI. Connects, but video 5 secs plus delay. Unuseable.Very dissappointed. Would perfer to use it with crystal sky, but that doesn't work either. I had the same issue. I just sold my PXN and purchased the Gamesir T1d and hope that it doesn’t have the same issue since it’s been certified with the Tello. Well I'm on android, and it's not looking good. Back to mobile only now. Which GameSir controller you are using. i ordered GameSir T1s for my tello. I am using the Gamesir T1s. I am also running the Gamesir World app and debugger app on my phone wich is a Huawei P9 lite. When i use the Tello app version 1.2.6.1 that can connect to the Gamesir T1s, with a Samsung, i get a lot of lagging in the video feed. I cant use the latest app on my Huawei, it shows the Controller, but it doesnt want to connect to Tello app. Actually, my bad luck. I ordered t1s after watching the hello tello commercial. The controller was shown in the commercial was t1d but I thought t1s. As the are look a like. Let my t1s come.. then I will give my review. I am using Samsung Galaxy Note 4. Well I wasted 30 quid on T1S from prelaunch ads, now I've wasted 30 quid on T1D. I don't know what debugger things are nor want to. My crystal sky is android and I hoped in vain that would work so I could see it outside, but that doesn't work either.